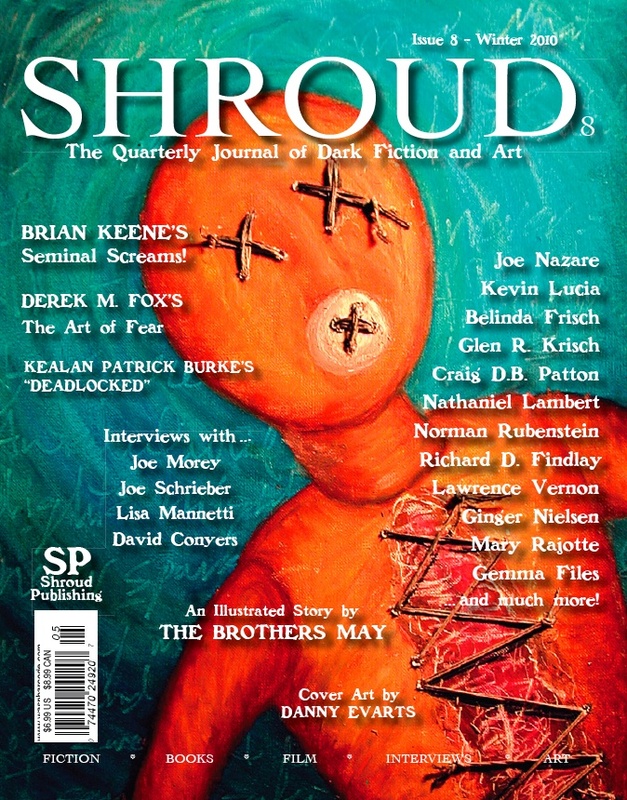 My style does not often lend itself to cover work, but I sometimes have the opportunity. 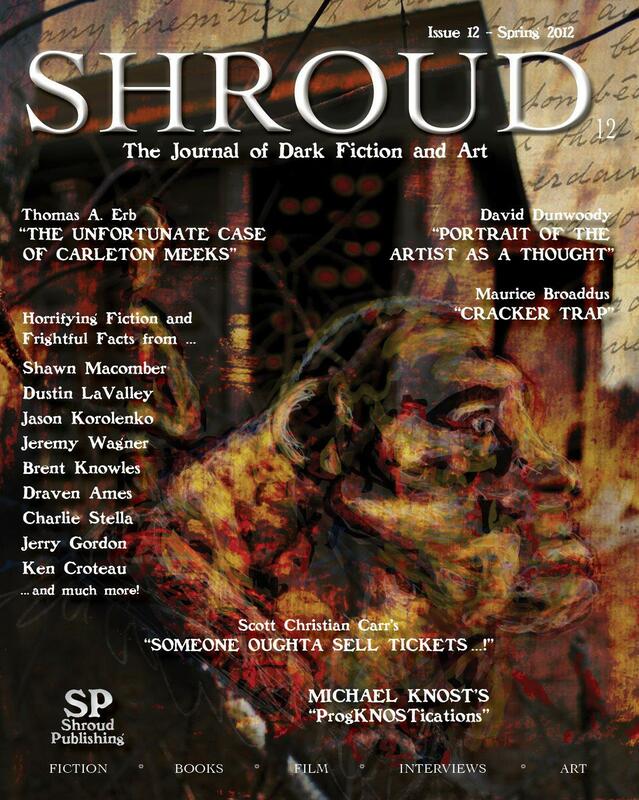 These are a few examples of some published works. 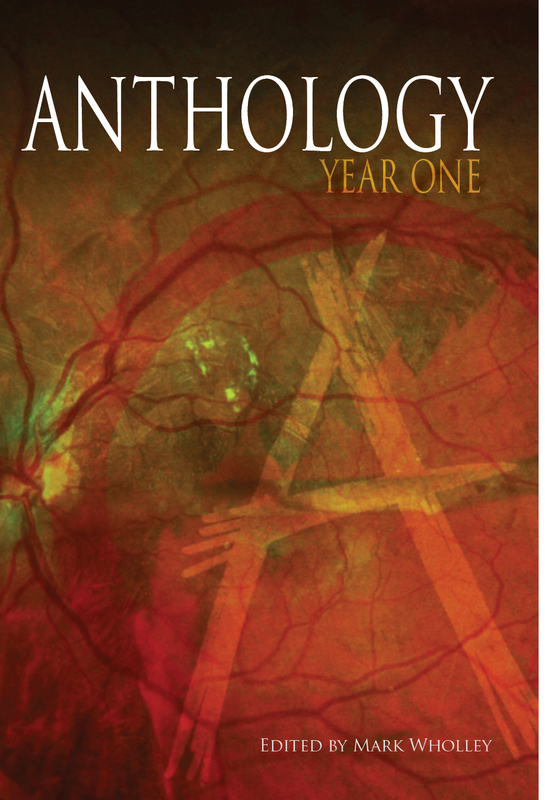 Cover for the Anthology 2011 Speculative Convention Program Guide. 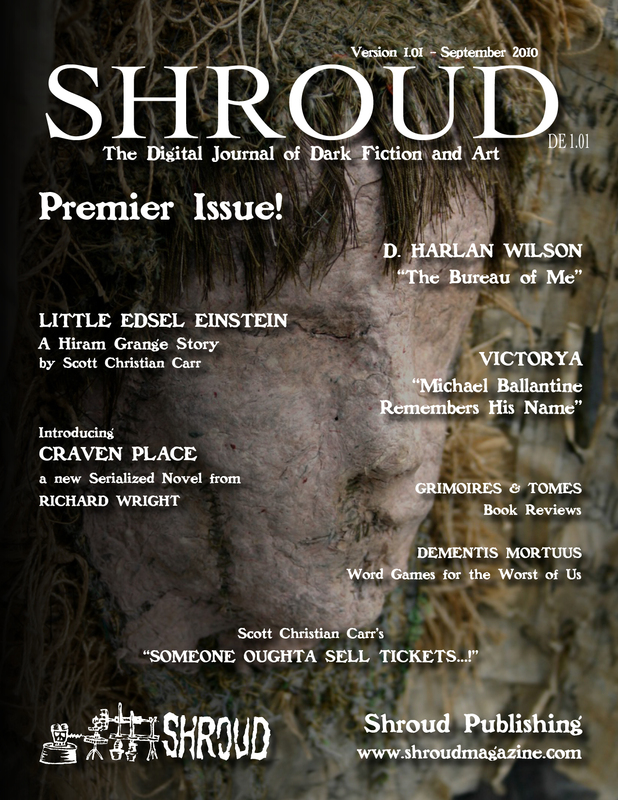 Digitally Coloured and Textured relief print. 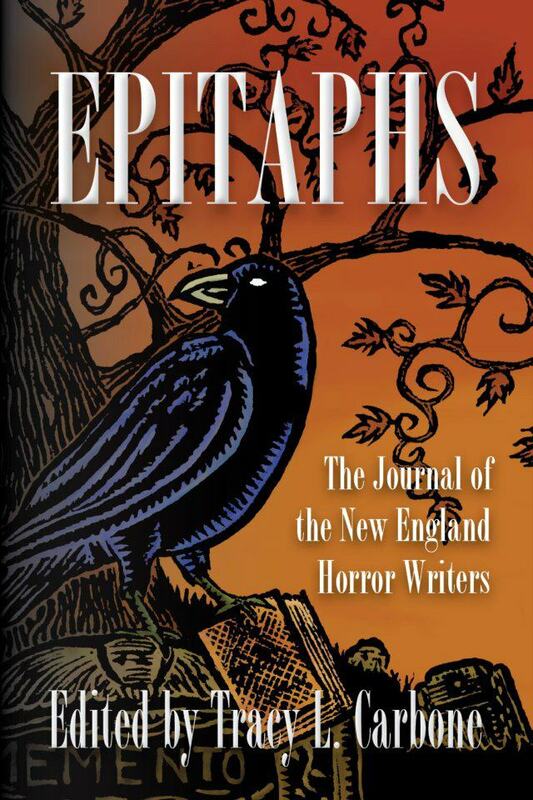 Cover for “Epitaphs,” the first journal of the New England Horror Writers. 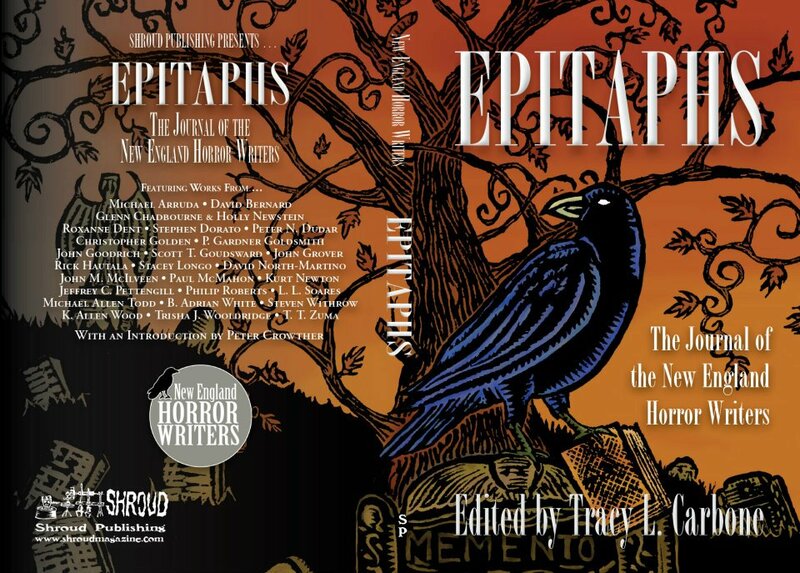 Cover spread (front, back, and spine) for “Epitaphs,” the first journal of the New England Horror Writers. 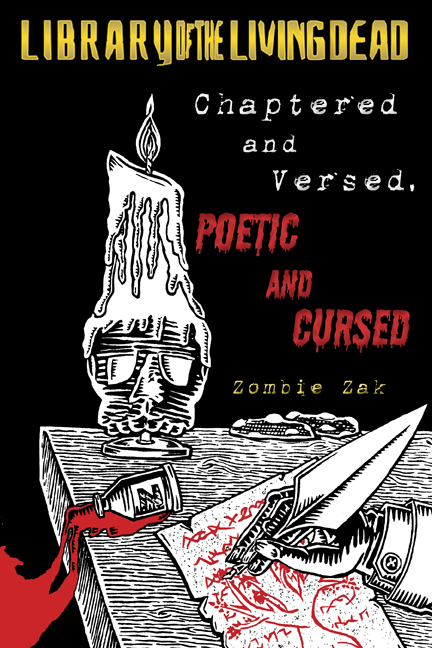 “Chaptered and Versed, Poetic and Cursed.” Poems by Zombie Zak. Zak wanted a Poe-esue drawing with a few specific items. 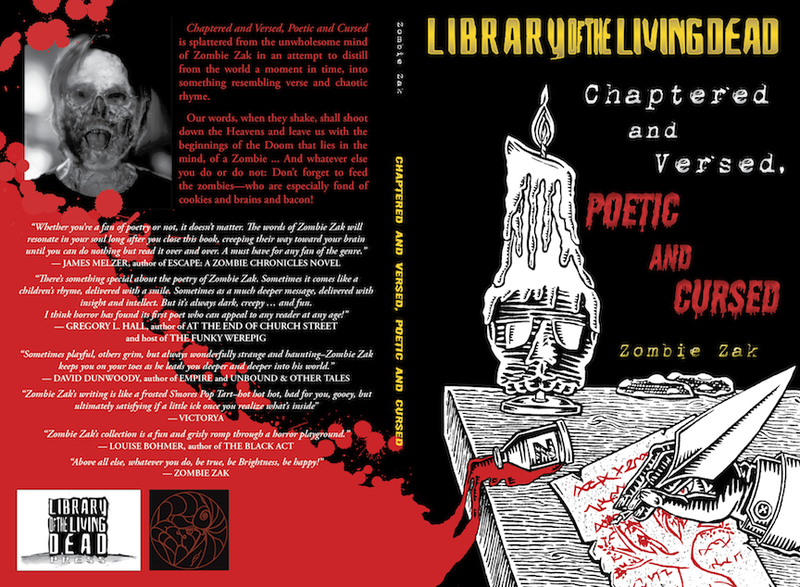 I carved the image and then reversed it digitally and added a bit of colour effect for the ink/ blood, which then spread along the spine and onto the back cover. Scan of an acrylic pastel, stitched with hemp thread, on canvas board. an image from “Matthew’s Memories,” (currently in progress). 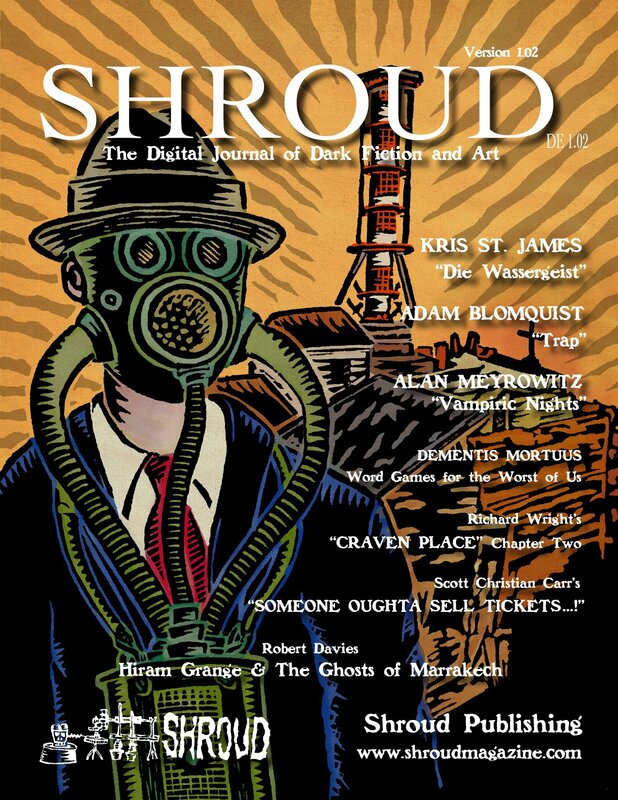 Cover for Shroud Magazine, Issue #12. Digital painting. I was given a black and white photograph (the shed in the background), to which I began adding textures and tints in Photoshop. As I did this, certain shapes began to come to the forefront, and I enhanced these with brush filters, pulling out details and creating the face. Given a close-up photograph of the veins in an eye, I added another of a an autumn leaf and moss scene, and began applying textures and tints.